CSIR-OSDD during 2013-14 has been engaged in a large number of activities in the area of drug discovery. In addition during 15th-17th September 2014, as a part of OSDD Foundation Day celebrations, projects which completed one year were reviewed along with review of the status of projects under TATA Fellowship. Leveraging on the potentials of crowd sourcing and networking OSDD has also been collaborating with numerous institutions. The details of OSDD activities during 2013-14 and OSDD Foundation Day meeting held during 15th-17th can be viewed below. Revised Cost Estimate (RCE) for OSDD project for the year 2014-2015 has been approved (RCE OM attached). Shri Zakir Thomas, Project Director has repatriated to his parent department on 31st March, 2014 and the charge has been handed over to Dr Sarala Balachandran (Charge handover OM attached). 24 March 2014: Open Source Drug Discovery launched the Phase II B clinical trials of the new combination drug for TB -PaMZ in collaboration with the National Institute of Tuberculosis & Respiratory Diseases, New Delhi. The proposed trial is a three arm trial examining the safety and efficacy of the said combination on multi-drug resistant tuberculosis in Indian patients. The protocols for the Phase IIB clinical trials of PaMZ was released by Dr. T Ramasami, Secretary , DST and Director General CSIR in presence of Dr. V. M Katoch Secretary, Department of Health Research & Director General, ICMR, Dr. Jagdish Prasad, Director General of Health Services and Dr. Rohit Sarin , Director, NITRD. NITRD is the Investigator institute and Dr Rohit Sarin is the Principal Investigator. The Drug Controller General of India has accorded approval for CSIR-OSDD’s proposal (OSDD-TBCT-001) to conduct a Phase IIb clinical trial of a novel combination therapy for MDR TB patients. 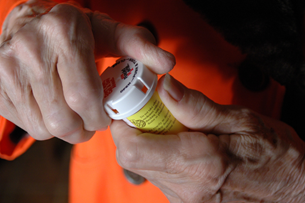 The trial involves 3 arms, a new combination of PA 824 in a combination of PA 824, Moxifloxacin and Pyrazinamide, a second arm of Pa824 as an add on drug to the current Standard of Care ( DOTS PLUS) and the 3rd arm consisting of the Standard of Care. The new molecule and the novel combination are brought into Clinical Trials in India in collaboration with Global Alliance on Tuberculosis (TB Alliance). The trial is a partnership with National Institute of Tuberculosis and Respiratory Diseases (formerly LRS Hospital), Delhi, an institution under the Ministry of Health which is the Investigator hospital. National Institute for Research in Tuberculosis (formerly TRC), Chennai, an ICMR institute supported the design of the Trails. M/s G V K Biosciences is the Clinical Research Organization supporting the Trials. If the trials (including Phase III) are successful, the drugs will be available at an affordable cost as it will be available for manufacture in India without any royalty to OSDD. 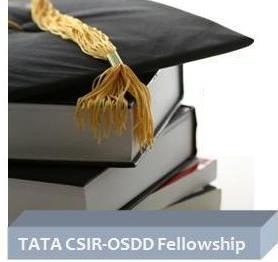 The TATA CSIR-OSDD fellowship now offers a unique opportunity to students across the universities to undertake research and contribute towards the OSDD vision of providing affordable healthcare for all. On the invitation of the Norway Biotechnology Board, an independent scientific body appointed by the Norwegian government, Prof. Samir Brahmachari, Director General, CSIR and Chief Mentor, OSDD, delivered lecture on ‘Open Source Drug Discovery as an Innovative Model for Affordable Healthcare for All’ at three top universities of Norway. Prof. Brahmachari presented the concept of OSDD to large audience at University of Oslo, University of Trondheim and University of Tromso during 21-24th November 2013. In an interview with The Norwegian Broadcasting Corporation, Prof. Brahmachari expressed his concern on the lack of new drugs for neglected diseases like Tuberculosis and raising the hope of innovative medical discoveries by involving young researchers in drug discovery. Sir Dorabji Tata Trust has awarded a Grant to enable Council of Scientific & Industrial Research (CSIR), New Delhi for operating TATA CSIR-OSDD Fellowship (TCOF) to support students and young researchers who will participate in the process of “crowd sourcing” as a method of research on open source discovery of drugs for neglected diseases like Tuberculosis (TB) and Malaria. The Grant amounts to Rs.285.75 lakhs for a period of 3 years.